Is President Trump setting the stage for a new nuclear arms race? WASHINGTON — President Trump has called for a new global arms race, and the Pentagon is ready. It has a nuclear weapon on the drawing board that the military considers essential but that critics fear could put the United States on the inside lane to Armageddon. The new weapon is the planned update of the Air Force’s nuclear cruise missile. Price tag: at least $20 billion. Fear factor for arms-control advocates: maximum. Trump’s newly released budget for 2018 contains hundreds of millions of dollars to speed up development of the Long Range Stand Off missile — a jet-propelled nuke designed to be launched from an airborne bomber and stealthily zip to a target virtually anywhere in the world. It will carry a “variable yield’’ warhead that can be adjusted to deliver an atomic blast ranging from 5 to 150 kilotons — that is, from about one-third of a Hiroshima-sized bomb to as much as 10 Hiroshima bombs. The ability to limit the scope of devastation and highly flexible targeting offer a powerful allure to Air Force generals, but are also precisely what worry antiproliferation specialists. They contend these capabilities make the idea of a “limited’’ nuclear strike on a target like Iran or North Korea — aggressive provocateurs but not superpowers — more likely, with a high risk for catastrophic escalation. It could also give Pentagon planners an intriguing option as they study ways to deter Russia’s ambitions to reassert sway over Eastern Europe. The new missiles are part of a $1 trillion upgrade of America’s nuclear arsenal kicked off by President Barack Obama, replacing missiles, submarines, and planes that have been in service for decades. Now Trump is positioning the military to pursue those plans aggressively, with $1 billion in his new budget to keep the Pentagon on an accelerated course for updating warheads, including a refurbished warhead for the 1,000 new, improved cruise missiles. The potential for nuclear brinkmanship and a war “goes up when you have weapons that are perceived as less risky to use in a first strike,’’ he said. 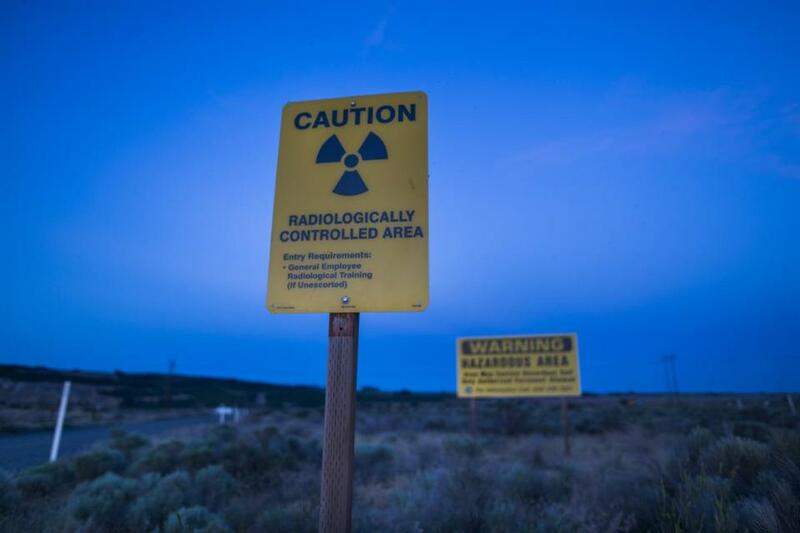 Under an order Trump signed soon after he took office, the Pentagon is beginning a Nuclear Posture Review, due for completion by the end of the year. It gives the new administration a chance to articulate the president’s nuclear vision and decide what atomic weapons and strategies he deems most important. Trump’s White House has not yet provided details of the president’s views, but in some of his remarks, he appears prepared to push the United States closer to a Cold War footing, a shift in tone and possibly in tactics that could have an impact on global nuclear security long after he leaves office. Tough talk, or something more? Certainly the tone runs sharply counter to the trend over the last three decades. Since the destruction of the Berlin Wall, there has been a sharp reduction in nuclear arms deployed by the United States and Russia. Obama’s own 2010 Nuclear Posture Review concluded that the United States should continue seeking to reduce the balance of nuclear weapons in the post-Cold War era, not add new nuclear weapons systems to the mix of intercontinental ballistic missiles, submarine-based missiles, and missiles on long-range bombers. But to win Republican support for the ratification of the New START arms control treaty with Russia in 2010 — which limited both sides to 1,550 strategic warheads and set up new inspection regimes — Obama softened his stance and agreed to the sweeping modernization of the smaller nuclear force. The $1 trillion price tag, coming due over 30 years, includes new strategic bombers, submarines, and rebuilt intercontinental ballistic missiles. Among all the nuclear systems, the plan to update the air-launched cruise missile is the most controversial, because of what critics consider its “destabilizing’’ effect. The missile is designed to be used in a survivable, limited nuclear conflict — survivable, meaning it doesn’t result in mutual annihilation. Intended to replace an existing, less capable system built in the 1980s, it would be widely deployed by 2030, with the first one ready by 2025. It could be shot thousands of miles away from enemy territory, and then fly low and fast to its target. The new version will have a stealthy profile and skin, making it difficult to detect by radar. Proponents in the Air Force have said the missile is indispensable because it eliminates the need for long-range strategic bombers to enter enemy airspace. They contend it can act as an even stronger deterrent than ballistic missiles. It is in America’s interest to keep the Russians guessing if the “crazy Americans’’ will pull the trigger, he said. Enemies know that America will be extremely reluctant, he said, to deliver an atomic blast from an ICBM, given the almost certain retaliation that would follow. Critics say the cruise missile makes the frightening logic of deterrence all the more fragile. “This weapon makes fighting nuclear wars even more possible. Its accuracy and potency will be greater. We don’t need it. It’s dangerous. 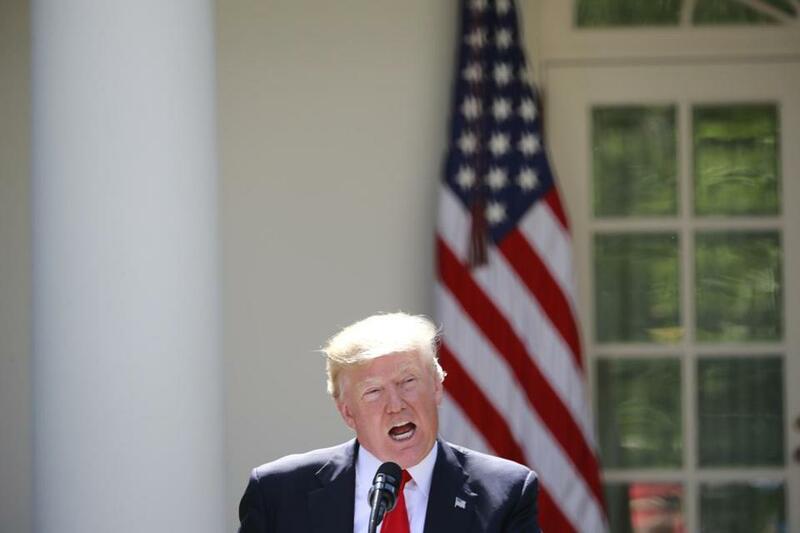 And the weapons that we have already can do the job,’’ said Senator Edward Markey, the Massachusetts Democrat and longtime proponent of a freeze and reduction on nuclear weapons. “We’re going to ask other countries to engage in restraint while we’re making . . . nuclear war-fighting even more possible, even more imaginable,” he said. 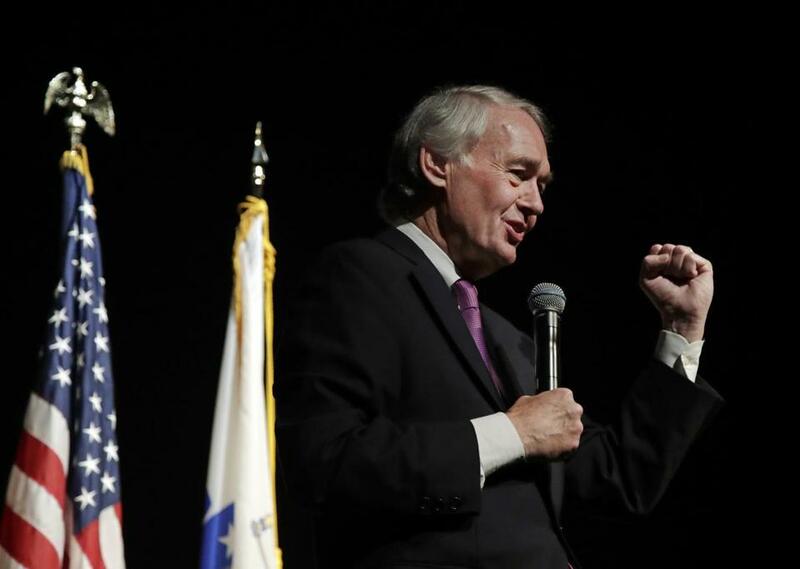 “The weapons that we have already can do the job,’’ said Senator Edward Markey. Above: Markey addressed constituents last week in Boston. Markey has sponsored Senate legislation that would cap development money for the next-generation nuclear cruise missile at current levels until Trump’s Nuclear Posture Review is complete. The bill has little chance of passage. Most of the Republicans who control Congress and a number of Democrats whose states depend on jobs and military bases that support nuclear weapons favor a full-speed-ahead approach. North Dakota is home to the B-52 bombers that carry the old nuclear cruise missiles. Both of the state’s senators, Democrat Heidi Heitkamp and Republican John Hoeven, were among a bipartisan group who wrote the Pentagon last summer urging that the full nuclear modernization continue. They wrote the letter after published reports said Obama was thinking about scaling back the modernization in his last year in office, including canceling the new cruise missile. The gears of Pentagon procurement bureaucracy are already turning, supported by weapons manufacturers. Early development of the cruise missile’s updated warhead is under way at Sandia National Laboratories . Requests for bids for the full missile systems were issued last year; prime bidders are expected to be Waltham-based Raytheon, Boeing, Northrop Grumman, and Lockheed Martin, according to defense trade journals.